Our friends at Judicial Watch just let us know that their New York Times best-seller The Corruption Chronicles: Obama’s Big Secrecy, Big Corruption and Big Government, is being made available in paperback beginning today, Tuesday, June 10. The book exposes the truth behind such high-profile issues as the bailouts, Obamacare, Guantanamo, Obama’s true ties to Bill Ayers and to the Black Panthers voter intimidation scandal, and the Constitution-defying government czars. Obama’s personal war against FOX News, his real link to ACORN, and his radical Chicago connections are explained in detail. 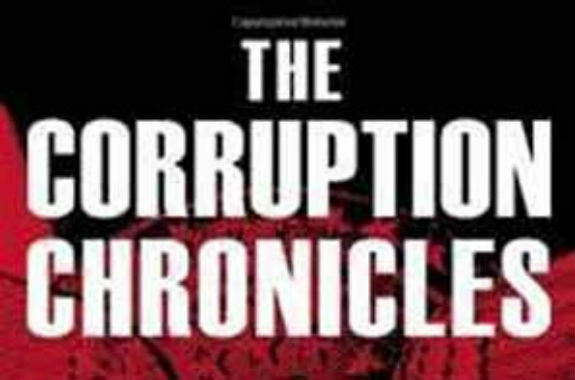 What we especially like about The Corruption Chronicles is that you can see for yourself, through scores of smoking-gun government documents, that Judicial Watch forced into the public view the facts of the Obama-backed $535-million loan guarantee to Solyndra, promoted by the president as a model for economic recovery—only months before its disastrous bankruptcy filing. Learn about the gunrunning scandal, code-named Fast and Furious, which was a program generated in secrecy by the U.S. government that supplied thousands of firearms to murderous criminals in Mexico. Few, if any, major media in this country have dared to expose this scandal, and none in the depth and detail described in the book. Read the shocking truth about how the Obama machine is aggressively employing Chicago-style tactics to steal elections and how Judicial Watch is prepared to go to court with historic lawsuits to make sure the elections are fair and honest. Judicial Watch recently earned worldwide praise for exposing the Obama administration’s lies over the Benghazi and the IRS scandals – it has prompted scores of people new to its work to ask the question: If Obama and his administration minions are willing to lie and obfuscate about the Benghazi attacks and the use of the IRS to intimidate political opponents, what else are they hiding? This book describes “what else” they are hiding. It is a must-read for anyone concerned about government corruption and the struggle to hold crooked politicians responsible for their misdeeds, including those inside the Obama White House. Judicial Watch is America’s largest nonpartisan government watchdog so the book is not just about Obama. It provides details on Clinton corruption that you will find nowhere else. And, in true nonpartisan fashion, there is a “corruption history” of the Bush administration, as well which supports in greater detail the case CHQ Chairman Richard Viguerie made in his books Conservatives Betrayed and TAKEOVER.